Every time we get into our car and hit the open road, safety becomes a concern. The average number of car accidents in the U.S. reach over 6 million annually, and the average number of motor vehicle crash deaths is 10 per 100,000 people a year. Careful driving requires strong visual and auditory senses in order to make quick and informed decisions. As these traffic safety statistics are a concern for all drivers, they should be more emphasized among those with hearing loss. The risk is elevated when hearing loss is combined with regular distractions of driving. The ability to hear important safety cues such as honking horns, blaring sirens, and vehicle acceleration are decreased among those with hearing loss. Among those with hearing loss, it is recommended to only drive with use of a hearing aid, as it greatly improves your ability to hear. Those with untreated loss should seek out hearing health professional treatment before continuing to drive. Read on to learn more about tips for driving with hearing aids. The Journal of the American Geriatrics Society published a study on older adults with hearing loss and found a significant correlation between hearing impairment and driving performance. In the presence of distractors, the study found that the added effort of listening to a degraded auditory signal detracts one’s resources in other cognitive tasks, making it harder to safely drive on the road. Although it may be harder for those with hearing loss to drive on the road, it doesn’t necessarily mean that they have to hang up their keys and stop driving. Good hearing does improve one’s ability to drive, so if you are facing hearing loss, the use of a hearing device be should be required. 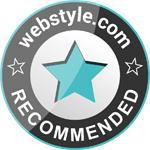 With use of a hearing instrument and further research on ways that can help you navigate the road safely, allows you to continue hitting those open roads. Avoiding distractions. Multi-tasking while driving should be avoided. That means doing the most obvious thing and put down your phone. Don’t text and drive as it leads to many accidents. Talking on your phone can be just as distracting, even if you have the hands-free option while chatting. When you’re texting or talking on the phone, you’re focused on typing a reply or busy straining to follow the conversation as opposed to focusing on the road. If you absolutely must use your phone, pull your car over to avoid any potential accidents. Lower the volume. Even for those with normal haring, listening to music at high volumes poses as a distraction while driving. Playing music so loudly takes away your ability at hearing sound cues from the driving environment. With hearing loss and even with use of a hearing aid, loud music becomes the primary auditory source you’re picking up while driving. It pushes important sounds like honking or sirens to the background that are crucial to driving safety. Turn down the volume while you drive so that you can focus on outside auditory cues. Be aware of your surroundings. Keeping your eyes on the road is very important while driving. It is especially so if you are using a hearing aid. Visual cues are even more critical in making sense of the open road. Be more cognizant of traffic signals and regularly use your side and rearview mirrors. 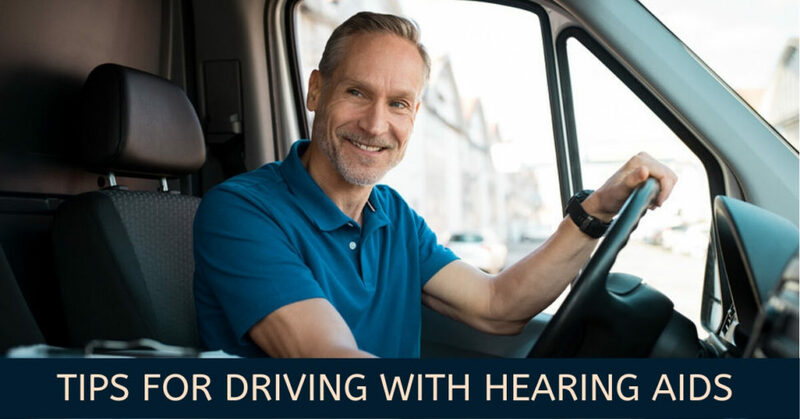 Hearing loss impacts the ability to we may have to pinpoint the relative distance of moving vehicles, so being aware of your surroundings is important in protecting yourself and other drivers around you. Always wear your hearing aids. As previously stated, always use your hearing aids when driving. Driving with hearing aids will allow you to pick up sounds you normally wouldn’t, but even with the use of hearing aids while driving, it’s important to be aware of your car’s environment and how it may affect your hearing aid’s functionality. For example, driving with your windows down may impact what ability to hear fully as the draft from the window may add distracting noise. Turn on the car’s fan or air conditioning option to avoid putting yourself, your passengers, and other drivers at risk. If you or a loved one is suffering from untreated hearing loss and are driving, stop right away and get your hearing checked! Getting equipped with a hearing aid greatly increases your hearing and safety on the road. If you’re already wearing a hearing instrument, make sure to get regular hearing aid checkups. Contact us at All Ear Doctors today to keep up with all your hearing health needs.